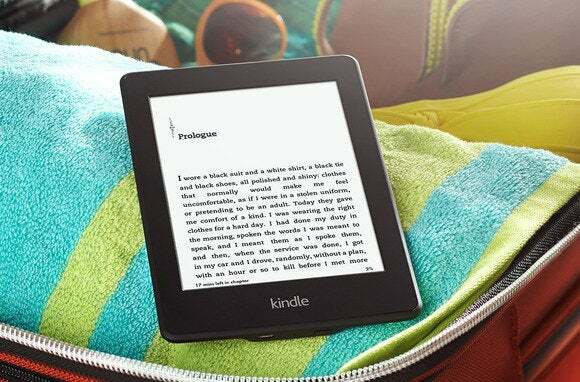 Amazon Kindle devices already last for weeks on one charge, but Amazon wants them to last even longer. Amazon CEO Jeff Bezos recently teased on Twitter that a new “top of the line” Kindle e-reader would be coming next week, but it appears The Wall Street Journal has an early scoop on at least one new addition to Amazon’s latest e-reader. Amazon is getting ready to roll out a “higher-end” Kindle and a compatible case with a built-in rechargeable battery, the Journal says. 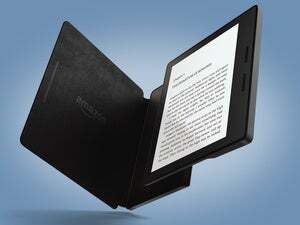 The case would provide extended battery life for the Kindle while simultaneously allowing Amazon to create an e-reader that's even thinner than today's models. The current Kindle range offers three versions, all with thicknesses well under half an inch. It’s not clear how the new Kindle would be packaged, but the Journal report makes it sound like the case would come bundled with the device. That would be unusual, however, as device makers prefer to sell accessories like expandable battery packs separately. Amazon’s aim to add more battery life while still creating a thinner device follows similar moves from Apple. In December, the iDevices maker introduced its own battery case to extend the life of the iPhone 6 and 6s. Amazon is also reportedly working on a case with solar charging. That case is not expected to roll out anytime soon, according to the Journal. The story behind the story: The key to encouraging device sales is creating new models with better features. That’s something of a challenge for e-readers since the whole idea is to offer a distraction-free device with a display designed to mimic physical paper. Even the promise of extended battery life may be a difficult sell for the Kindle. Amazon already promises a battery that “lasts weeks on a single charge” with even the lowest end Kindle. Prolific readers, however, may appreciate extending that battery life even more.